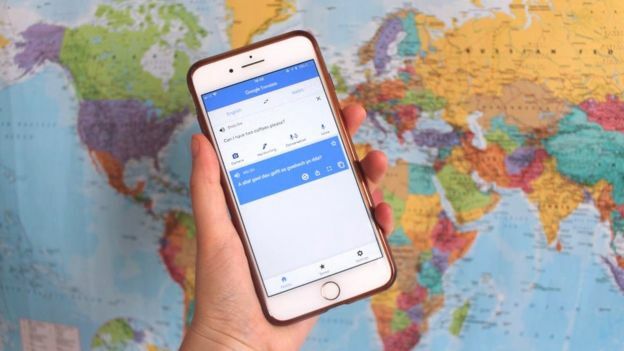 It is an amazing piece of technology – put a sentence in a box and see it translated into any of 103 languages. But what impact for good or bad does Google Translate have on a minority language? “The reason was that it worked,” says Macduff Hughes, the engineering director leading the project. There were enough examples of Welsh translations online for Google’s computers to crunch and build a machine translation service of sufficient quality. “Rather than pay for a living breathing Welsh translator they’ll put their translations through Google Translate and end up with word porridge,” he says. Soon the term Scymraeg, or scummy Welsh, was born and it has really caught on – it is part of Gary’s stand-up routine, and examples are posted via a Twitter hashtag and in a Flickr group. Among them, a sign reading “Blasting in Progress” was rendered as “Gweithwyr yn ffrwydro” or “workers exploding”. Ben Screen, a translator working for the NHS, says this all created “negative feelings” about the service. “There’s so much translation in the public sector,” he explains. There was concern too about the impact on learning the language – once schoolchildren knew they could just go to a website to do their Welsh homework, wouldn’t that stop them really getting an understanding of the language? But Google’s Mr Hughes, who has Welsh forebears and took a course in the language a few years back, urges caution with how the service is used. “You should use it when you need to communicate and understand and you have reasonable tolerance for mistakes,” he says. “The way we’d use it is you’d use a source text for English and put it through Google first – Google would give you something,” he explains. And he has a message for those wanting the language and its translators to thrive in the machine age – it “depends on the Welsh community continuing to care about and embrace the Welsh language”.